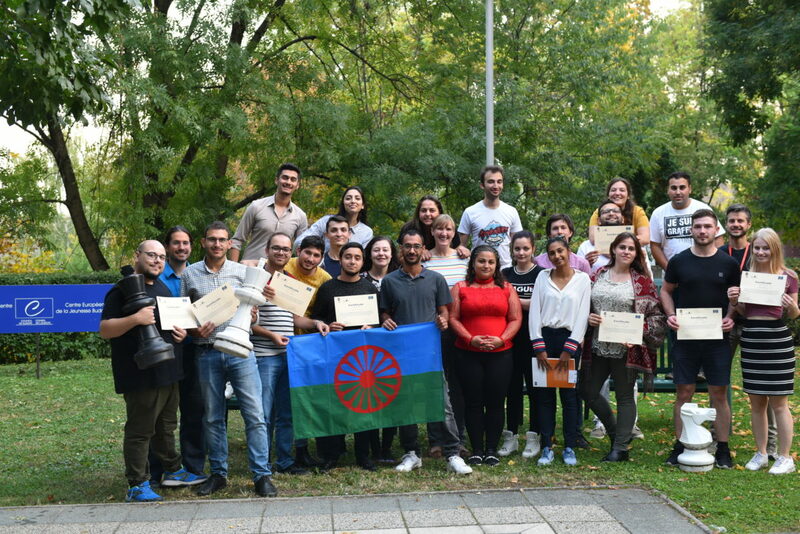 A study session “ Knowledge is Power – Youth Understanding Antigypsyism” was organized by ERGO Network and TernYpe International Roma Youth Network in cooperation with the European Youth Center Budapest of the Council of Europe from 7 to 13 October 2018. 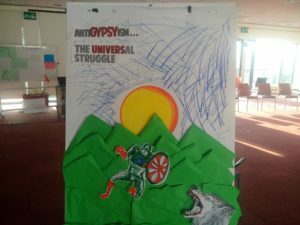 During this study session, 20 Romani and Non-Romani young people came together to gain a deeper understanding of what antigypsyism is through different means of portraying elements of antigypsyism. The aim of the study session was to contribute to the development of a youth-friendly version of the reference paper on antigypsyism that can be understood by all. The participants had the chance to be creative and work together to comprehend, interpret and shorten some parts of the aforementioned reference paper. Afterwards they could present the outcomes and outputs of these working groups. What was really interesting and praiseworthy noticing was the eagerness of the group to participate in the production of this exciting publication, which will be available soon. The study session started with getting to know each other in order to get comfortable with one another, since antigypsyism is a very sensitive theme and the youth group consisted of a diverse group of young people such as the Roma youth, travelers and non – Roma participants. Some of these youngsters were students at universities and some were already working for an NGO or had just started to run their own NGO. One thing they had in common was their experience with discrimination and realizing that antigypsyism has several stages. In the last two days, the working groups were divided according to different themes. There were four themes; case studies, counter strategies, visuals and non – formal education. The participants from the case studies group found cases related to antigypsyism from different countries (eg. sterilization of Romani women). The group on counter strategies prepared some strategies how to combat antigypsyism on the basis of what they have learnt throughout the week. The group on visuals prepared very interesting material on how the “youth-friendly” version on antigypsyism could look like. And the group for non – formal education prepared detailed workshops whereby youth could learn about this theme. 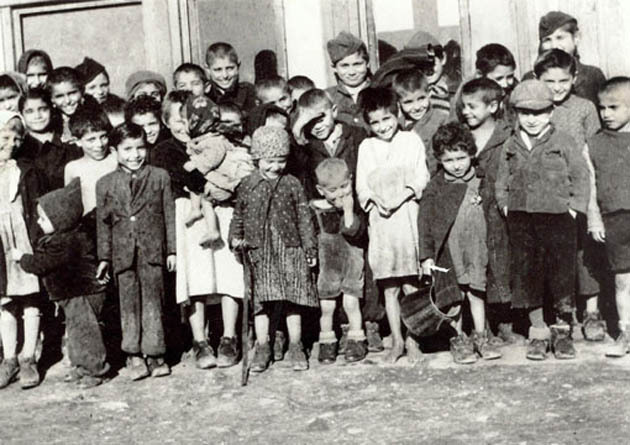 ERGO Network condemns in the strongest possible terms the denial and doubt cast on the suffering of the Romani victims of the Lety concentration camp by the current speaker of the Czech lower house on International Holocaust Remembrance Day. As Romani people and as European citizens we welcome the other condemnations of his remarks that have been voiced by Czech political representatives, and call on all other political leaders to join them. We believe Mr Tomio Okamura should face sanctions for his remarks, including being removed from his post as vice-chair of the Chamber of Deputies of the Parliament of the Czech Republic. We hope that his fellow legislators see fit to sanction him. There is no excusing this inexcusable behavior. 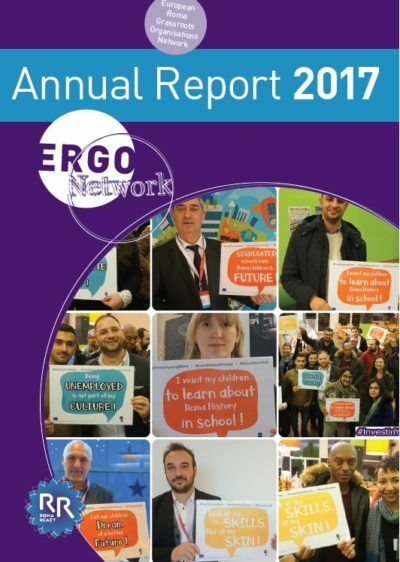 Participate, compete, win, travel to Brussels and present your story at ERGO Network’s public event in November! Share either an inspiring or a challenging story with one image (photo, painting, drawing or graphic), a video or a short story. Upload your entry to the RomaReact platform by midnight, 5th November. Wait to hear the results. If you win, we will see you in Brussels on 26/27 November 2017! To submit your material, register at https://romareact.org/loginpage/. Then click on +New on the top of the RomaReact website and create a new post to upload your media and/or submit your story. The competition is part of the launch of ERGO Network`s campaign “Investing in our future: What work(s) for young Roma?” to raise awareness of the obstacles young Roma face on the labour market and convince EU decision makers and national governments to invest in Roma youth employment. The aim of this competition is to hear about striking and inspiring stories of Roma youth employment and to share your experiences with a broader public. ERGO Network is inviting RomaReact followers to participate in our online competition and the launch of the campaign. We are looking for both inspiring and challenging examples and testimonies in employment. You can use a selection of genres to share your story: edit a video, write an essay, take a photo or draw a graphic. The contest will close at midnight, Sunday 5th November. Which stories are we looking for? If you take part in the competition with an image, don’t forget to write a few lines explaining the image. Convince the audience that our stories and our voice matter. This contest is for young Roma (16 years-35) from a European Union member state. One entry per contestant is allowed. Please submit one photo, video, drawing or a short piece of writing. 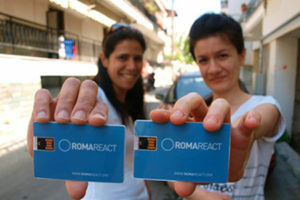 You need to submit your entry together with a short description (max 100 words) to www.Romareact.org. Additionally, please e-mail them together with your personal details (see annex) to info@ergonetwork.org. The winners in the contest will be selected by the ERGO Network team after the deadline of 31st October. Two winners will be invited to Brussels to present their story at ERGO Network`s public event on 27th November, before the start of the European Roma Platform. All costs (including travel from an EU member state, a guided city tour, accommodation, food) will be covered. You warrant and undertake that entries submitted will not infringe intellectual property, privacy or any other right of any third party. You must ensure that any person or persons whose image, video or writing is used in an entry has given valid consent for the use of it or has waived any rights they may have in the material submitted. Failure to adequately demonstrate such consent may result in the entrant’s disqualification and forfeiture of any prize. By participating, you agree to these terms and conditions and to the decisions of the selection committee, whose decisions are final and binding in all respects. You can download here the call as pdf document.